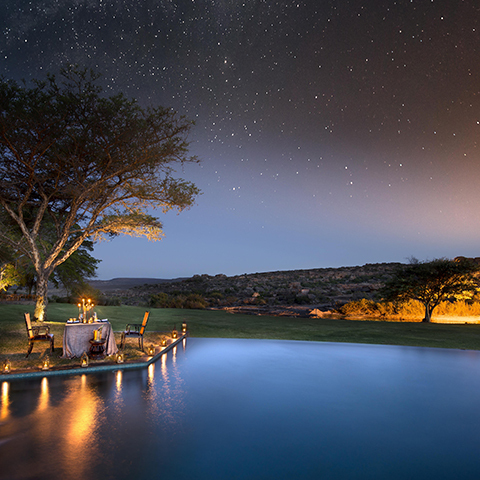 Set among wide open plains, majestic rock formations and crystal clear waterfalls, Bushmans Kloof Wilderness Reserve & Wellness Retreat is a haven of staggering beauty and timeless tranquillity where abundant wildlife roam free. 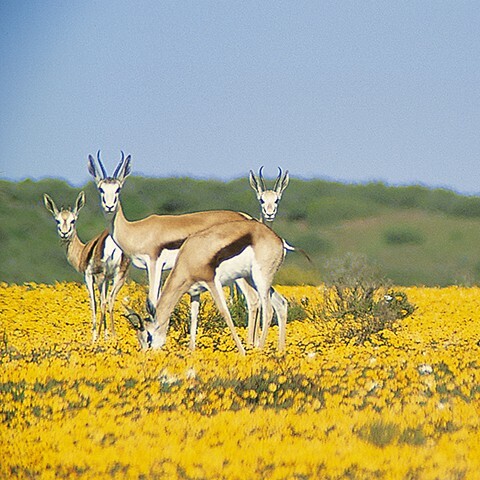 Located at the foothills of the Cederberg Mountains, it is custodian of more than 130 ancient Bushman rock art sites found across the reserve. 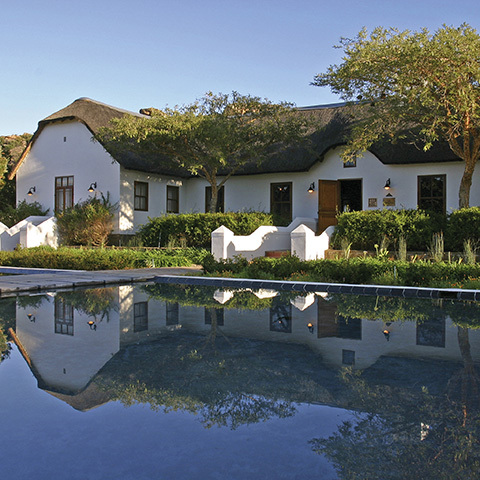 This proudly Relais & Châteaux lodge forms part of the family-run Red Carnation Hotel Collection, where guests may choose from 16 luxurious and spacious rooms and suites, as well as Koro Lodge, an independently catered for private villa set in a secluded location within the reserve, which caters for friends and families with children travelling together. We do not cater for children under the age of 8 years at the Lodge. At the heart of the world class guest experience is an inspiring holistic wellness focus deeply rooted in nature. The Rooibos plant grows wild across the expanse of the reserve and in its many forms, uses and guises, is an integral part of the Bushmans Kloof experience. From the refreshing, chilled Iced Rooibos Tea served on arrival as ‘signature welcome drink’, and the deliciously fragrant, hand-made Rooibos soap in all guest bathrooms, to a steaming pot of Rooibos tea taken during the legendary High Tea. Rooibos has also found its way into therapeutic spa treatments and onto the inspiring menus created by our Executive Chef. Dining is one of the true pleasures at this 5-star lodge – the unique, natural taste and flavour of Rooibos adding an authentic home-grown touch to the fresh and delicious home-style cuisine.